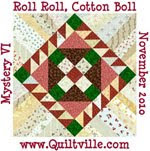 If you read the posts before this one, you will know why I am behind on my Crumb quilt. Here are the blocks, trimmed, stacked and ready to do something with them. So, Jo, I am still working on it. I have 85 blocks. Now I need a plan to put them together. I didnt make any letter blocks. That will be for when I have more time to play. I am going to John C Campbell Folk School in 3 weeks for a whole week. Guess who the teacher is? Ok, I will tell you. Georgia Bonesteel!!! I am soo excited. I need to get my fabrics ready. 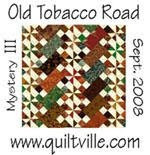 I am going to make my quilt scrappy, so I really just need to pick out my back ground. 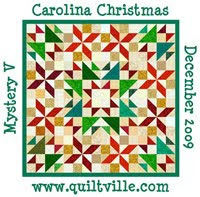 Georgia sent pictures of what we are going to be making, to help us decide what fabrics to bring. I am not tell you now, it will be a surprise. Sounds like fun! Have a great time! WOW...85. You have been busy. So far from what I see they are looking good. I'll be anxious to see more.